Fifty-nine years ago last week an event took place which contrasts strongly with the recent Trump-Putin Helsinki Summit. 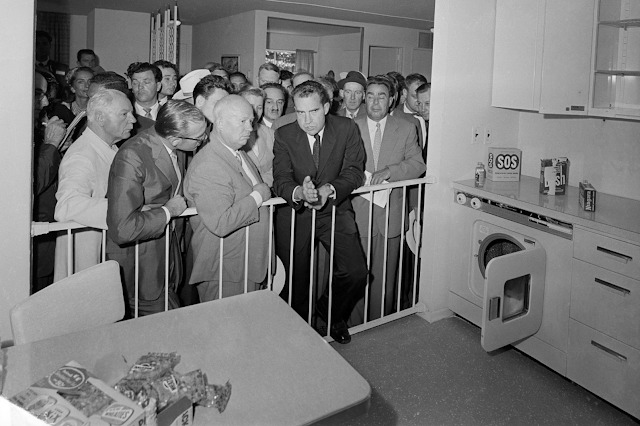 On 24 July 1959, Vice President Richard Nixon and Soviet Premier Nikita Khrushchev met in a replica of an American Kitchen. The pseudo-kitchen was part of the American National Exhibition in Sokolniki Park in Moscow. This meeting was of monumental importance - for it was on Soviet Soil and took place at the height of the Cold War. It was only two years after the launch of Sputnik - and three years prior to the Cuban Missile Crisis. The following summer, while Nixon was running for President, an American Pilot, Francis Gary Powers was shot down flying a CIA U-2 spy-plane over the Soviet Union. Their photo-op morphed into an impromptu and fiery debate (via interpreters) between the merits of capitalism and communism. It has come to be known as "The Kitchen Debate." In the above close-up, Nixon is shown in the midst of a vertical hand-chop. 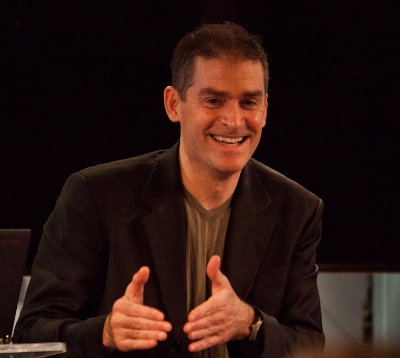 Although this is an alpha-beta hybrid gesture, it leans more alpha. Provided it's not used too dramatically or too frequently, it's a wise illustrator in this context. 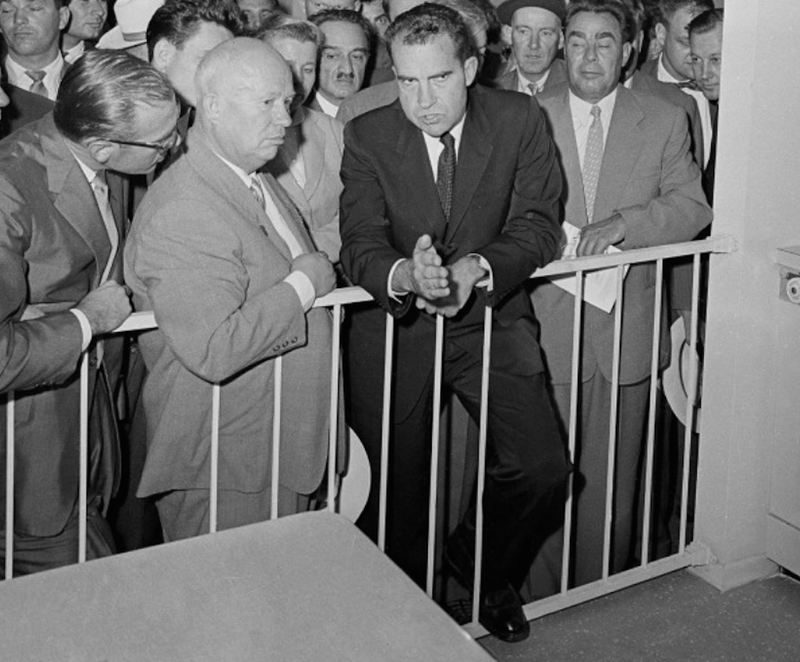 Notice also the position of Nixon's left foot - it's resting on the gate. This shows both dominance and emotional comfort on the American's part - which is a considerable feat since he is standing in the capital of the Soviet Union. Nixon's forefinger (index finger) up-pointing is another alpha-leaning gesture. If the two men were standing four feet apart, it would have been more beta. However, their physical proximity amplifies its nonverbal weight - making this interaction more alpha. 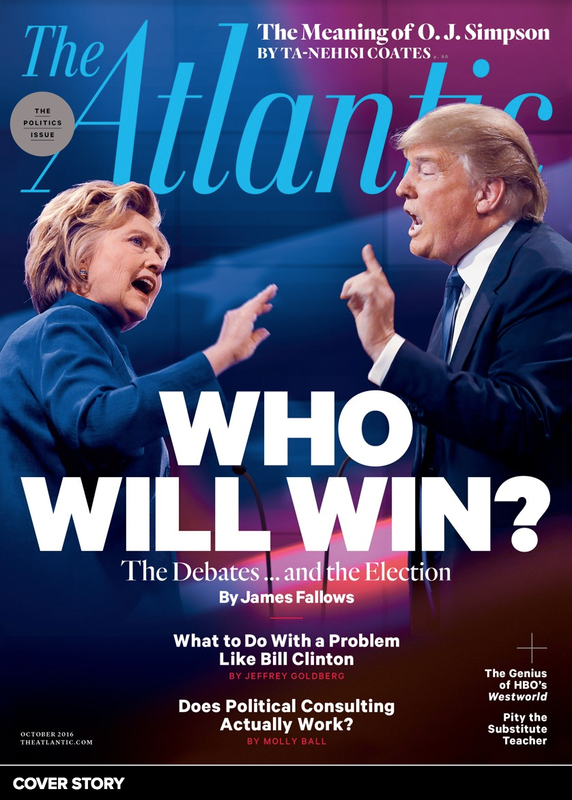 The act of pointing down - is more beta. 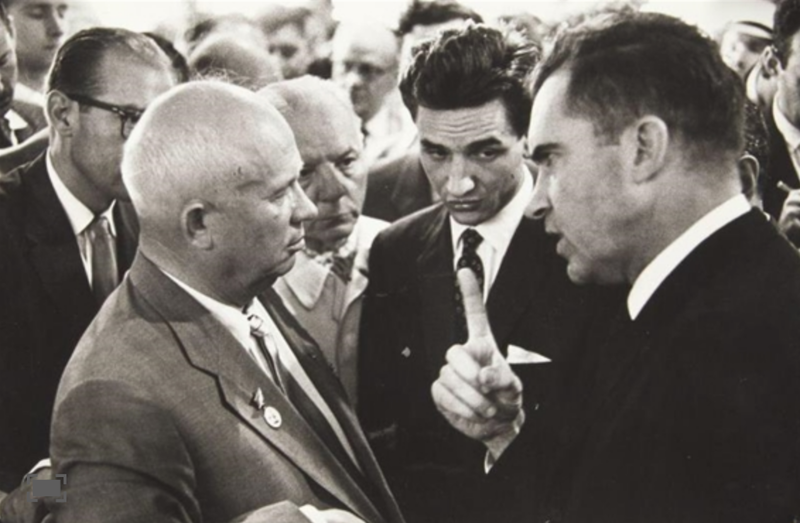 To nuance this moment further, if the Vice President had been pointing down - but also toward Premier Khrushchev, it would have been more aggressive, more alpha ... and more escalating. But because Nixon was pointing down and away from Khrushchev, it is less escalating. This difference is highly significant. This last picture is quite surprising. Nixon's index finger is touching Khrushchev's chest. There's no doubt Khrushchev saw this as a deliberate attempt at intimidation by the American - and understandably so. Such behavior is highly discouraged. In many settings, this hyper-alpha nonverbal dynamic very often leads to physical altercation. 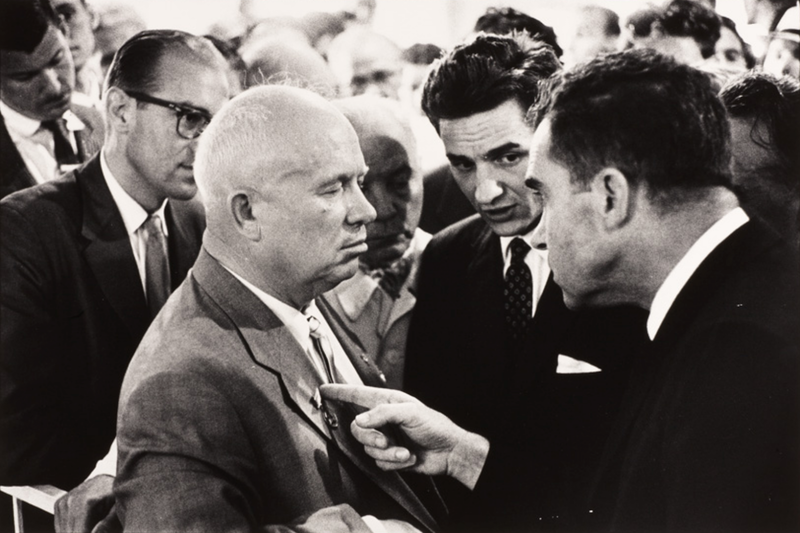 Khrushchev is closing his eyelids in a moment of psychological blocking. His mind is trying to down-regulate his strong feelings. He can't believe Nixon is doing this - and making him look weak. SUMMARY: In the immediate aftermath of the Kitchen Debate, Nixon probably felt that he had come across a bit too aggressively. Taken in isolation - and from a nonverbal perspective, one could also make such a claim. But geopolitics do not exist in a closed system. Given the context, Vice President Nixon certainly projected American assertiveness and strength. Richard Nixon did not cower, he did not grovel, and he did not acquiesce. He stood firm where the American perspective differed from the Soviet's worldview. Nixon's nonverbal behavior was entirely consistent with his words - considerably dominant, alpha - and even hyper-alpha. 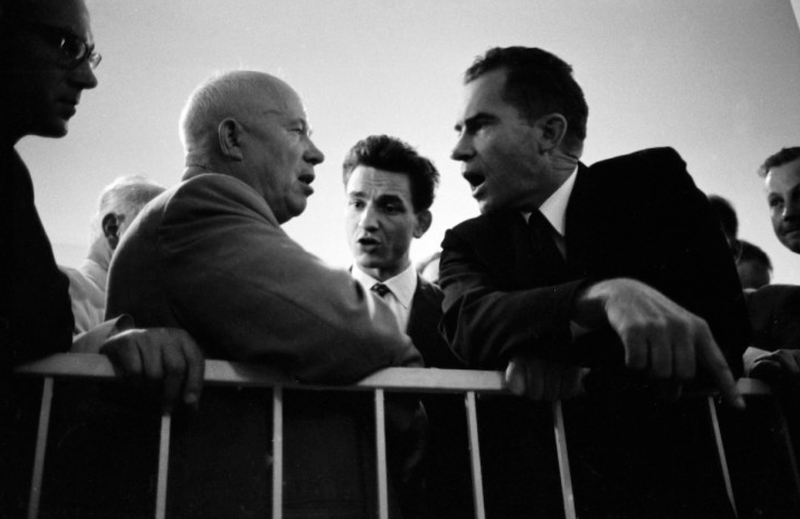 Nixon did not shy away from confronting Khrushchev.